On Monday, February 4th, a plane flying over Southern California broke into pieces while still in flight, landing on a house and killing four individuals. Antonio Pastini, 75, is identified as the pilot. Pastini was a retired Chicago police officer and a registered commercial pilot. The town of Yorba Linda has been rocked by this tragedy, about 35 miles southeast of Los Angeles. Although it is certain that there were no passengers on the aircraft, the four individuals who died inside the house are being identified. The bodies were so badly mangled that identification took three days, and earlier this morning those killed were identified. 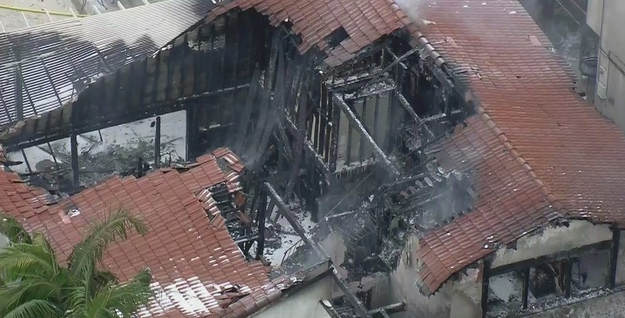 Inside the house, those who died because of the plane crash and fire were Roy Lee Anderson and Dahlia Marlies Leber Anderson, 85 and 68, who resided in Yorba Linda, and relatives Stacie Norene Leber and Donald Paul Elliott, 48 and 58. The small Cessna airplane was flying, supposedly, at an acceptable altitude then plummeted to the ground, just ten minutes after takeoff. Witnesses say the crash felt almost like a small earthquake, but did not report an explosion while still airborne. 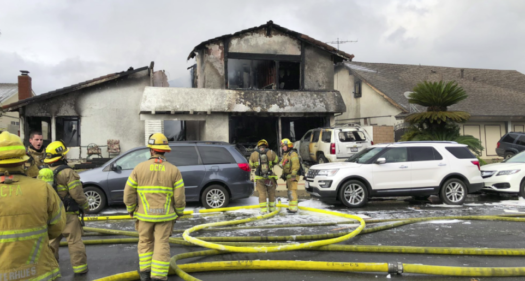 The fire began after the plane’s tail and wings broke off of the plane, causing it to fall into this home in Yorba Linda. Parts of the plane are still being collected, as a plane going at that speed will have wreckage that could go for miles. When all the parts are found, they will be shipped back to Phoenix, Arizona, for inspection to try and understand what caused this unusual crash.